What is Perpetual Motion ? Perpetual motion would occur in a device or system if a motion, once started, were to continue indefinitely.It is believed to be practically impossible because of friction motion can’t continues indefinitely without any external source of energy. Moreover, it is against the law of conservation of energy, so it is virtually impossible to build such a machine. Yes, on paper it appears possible, but when implemented practically, system starts losing energy gradually and it gets stop after some time. If it is impossible why it is important ? It is very important concept to learn and study because it helps us in understanding energy reuse method and concepts. Though it does not run for infinite time but yes, it use lesser energy than any other system. This system use gravity or metallic energy to move the system. In one of the most common method of these machines, they keep on side of the wheel always heavier, either by water or by transferring some kind of weight. 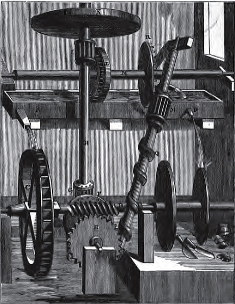 This heavier part keeps pushing wheel downward with the help of gravity and this machine should remain in motion but in real life, it starts to loose energy and eventually stop. Museum of Unworkable Devices :This museum is a celebration of fascinating devices that don’t work. It houses diverse examples of the perverse genius of inventors who refused to let their thinking be intimidated by the laws of nature, remaining optimistic in the face of repeated failures.